If you just received the update for your Galaxy S3 I9300 or if you manually updated to the latest Android 4.1.1 UBDLJ1 Jelly Bean, your device lost all root access you previously had. 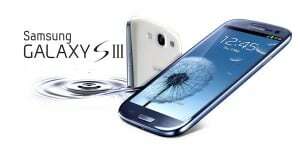 Therefore you’re going to need a tutorial on how to root Galaxy S3 I9300 running Android 4.1.1 UBDLJ1 Jelly Bean . The following article will guide you through the necessary steps. Make sure you follow the steps to root your Galaxy S3 I9300 running Android 4.1.1 UBDLJ1 Jelly Bean properly, so that your device won’t get damaged. This rooting method for Galaxy S3 I9300 running Android 4.1.1 UBDLJ1 Jelly Bean uses CF-Auto-Root-m0-m0xx-gti9300.zip to obtain root access, and you will need to use Odin v3.07. !!! Important. Rooting your Galaxy S3 I9300 running Android 4.1.1 UBDLJ1 Jelly Bean will void your warranty. Also this procedure is not an official one, so bad things may happen to your device. For that, we cannot be held responsible for any damage. You assume your own risk by continuing with the tutorial. Galaxy S3 I9300 running Android 4.1.1 UBDLJ1 Jelly Bean . USB Debugging enabled from Settings>Developer Options>USB Debugging. Galaxy S3 I9300 drivers installed on your computer. Extract the content from CF-Auto-Root-m0-m0xx-gti9300.zip and place it in a folder. Extract the content from Odin v 3.07 to obtain the odin exe file. Connect the Galaxy S3 I9300 to your computer with the USB cable. Wait for Odin to recognize your device by showing the yellow box in the left upper corner. At the end of the rooting process your Galaxy S3 I9300 running Android 4.1.1 UBDLJ1 will reboot. That means the phone is rooted. This is it. You now have your Galaxy S3 I9300 running Android 4.1.1 UBDLJ1 Jelly Bean rooted.